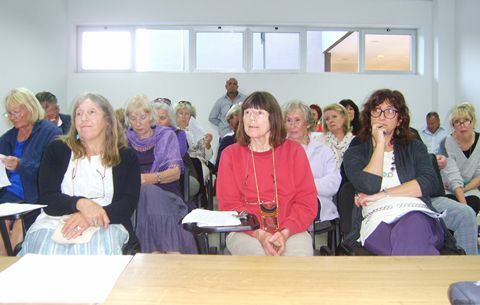 Almost half of ADANA’s members attended the Adana AGM, held as usual at the Estepona Football Stadium on April 17 2013. All the reports were received as presented and questions were raised and satisfactorily answered. The meeting reaffirmed its decision to abandon the Sanctuary Project and to dispose of the land as soon as possible at the best price. Issues raised by members included the necessity of raising concerns directly with the Board so they may be dealt with expeditiously, reference was made to the problems at Triple A caused by infighting which had resulted in a huge decline in membership and funds raised, praise for the excellent way in which the perrera was run under the efficient management of Helen Ellis, thanks to the Fundraising Team for their excellent work, thanks to Membership Secretary Bill Fisher who was reorganizing our membership procedures and various items relating to the management of the accounts. Recognition and thanks for their excellent supportive work were given to ADANA Vet Friederike Dohrmann and longstanding Kennel worker Fernando Amores Gil. A member pointed out that it should be remembered that the kennel statistics showed that deaths resulting from attacks, whilst regrettable, were a tiny percentage and that over 90% of our dogs were happy and contented. Another member who had recently visited the perrera commented on the excellent state of the kennels and the dogs and the efficient way in which the office was run. Thanks were given to the retiring Treasurer, Eileen Audas, for her work in managing ADANA’s accounts for the past four years and bringing us from the brink of insolvency to a position where our bank accounts show a healthy balance. Fundraising Team members Sandra Sprawston and Jo Melville informed members of the work already done in preparation for the forthcoming Estepona Dog Show. They asked for help in gaining sponsors for classes and for help on the day, especially with the clearing-up after the event. ADANA Board Members Maria Cawsey, Mary Page and Eileen Audas.